Takes little room to store as both the table and the chair folds flat. 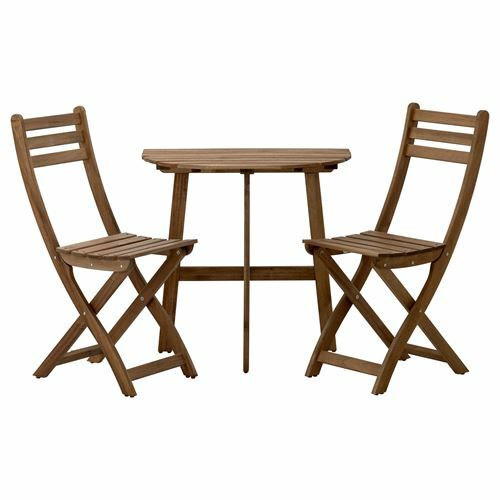 Comprises: Table (length 70 cm, width 44 cm, height 71 cm). Chair (width 36 cm, depth 49 cm, seat width 36 cm, seat depth 30 cm, seat height 46 cm, height 87 cm).